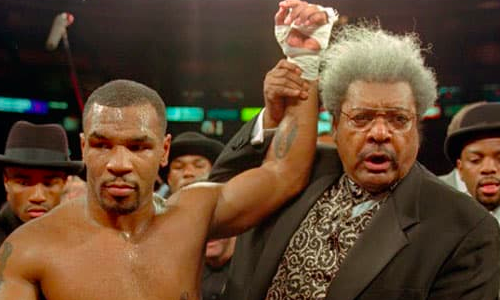 It’s no secret that former undisputed heavyweight champion Mike Tyson and veteran boxing promoter Don King don’t share a great bond. During the days, Tyson had sued his ex-promoter King for $100 million, alleging the latter siphoned off hefty amounts from his earnings. Two decades on, the bad blood still seems to be there! The duo crossed paths at a Hall of Fame event recently. While Tyson was already seated in the panel, King walked in sometime later by patting the former on the back. ‘The Baddest Man on the Planet’ was clearly not impressed with King extending an olive branch as he had some words to offer before throwing water at the 86-year-old. As for their lawsuit, Tyson had settled for a payment of $14 million back in 2004.